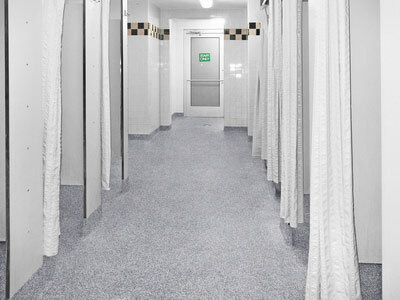 Everlast Floor provides a seamless, waterproof, self-containing surface, ensuring that the water goes into the drains as it should, rather than damaging the walls and subfloor. Because it’s trowelable, you can create a cove base of any height. And if you have a room where wet walls are a problem, you can simply trowel it as high up the walls as you’d like, to provide sanitary, waterproof, self-containing protection! Many epoxy floors claim to be waterproof, but unless they are a resin-rich poured floor, they are only temporarily waterproof. 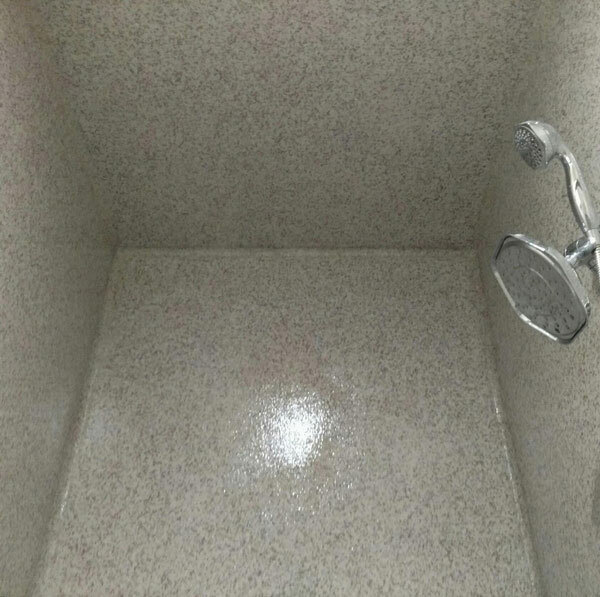 The amount of aggregate needed for most quartz epoxy flooring leads to voids, which allow liquids to penetrate. They rely on a thin top coat of sealant to keep the water out. Unfortunately, this provides only temporary protection. After frequent foot traffic, and multiple cleanings with harsh detergents, this layer deteriorates and wears away. 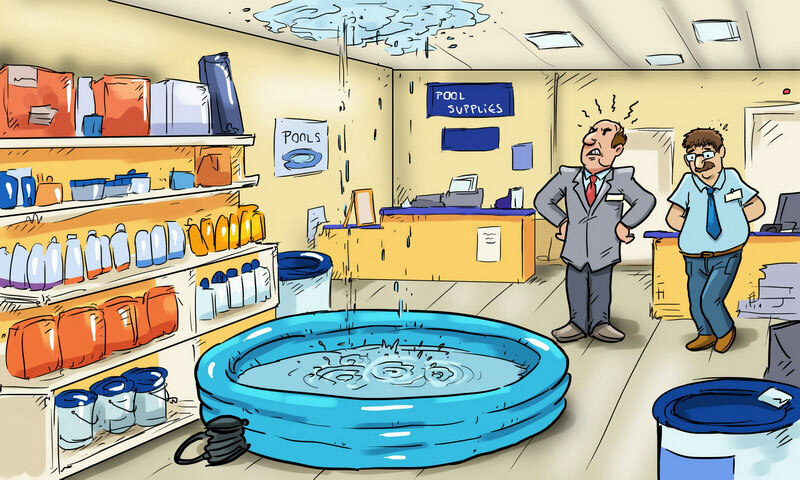 When that happens, your “waterproof” flooring quits providing you with the moisture barrier you need. 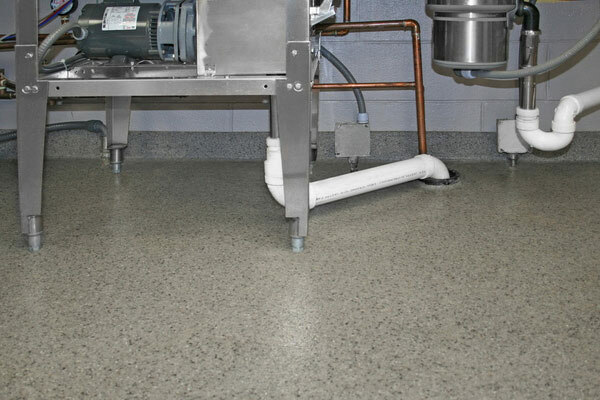 When a commercial kitchen, a shower, or any floor that is continually wet, is built on anything but the ground floor, a completely waterproof floor must be used. Any extra expense spent on the floor will be minimal in comparison to the cost of ceiling repair underneath, and continually repairing or replacing the floor entirely. 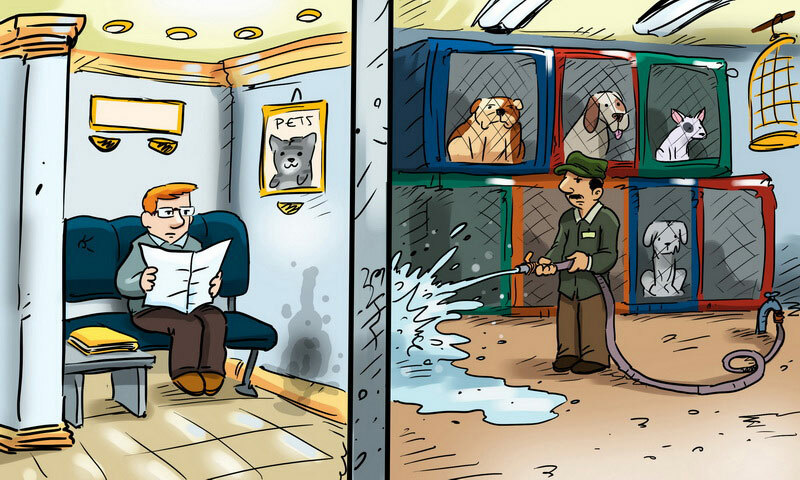 Beyond those costs, think of all the lost business time involved in repair and replacement! With Everlast Epoxy Flooring, all the problems inherent in inferior flooring disappear. Your superior floors will provide you with the important waterproof protection you must have, but Everlast Epoxy Flooring will stay that way for years to come. It’s not only waterproof, but because it bonds to all the drains, electrical conduits, coke conduits, gas lines and plumbing pipes, moisture cannot get through the floor to damage the facilities underneath. As an added bonus, our product contains an EPA registered antimicrobial formula throughout our epoxy system that impedes the growth of microorganisms. This provides long term protection from a broad spectrum of bacteria, fungi, yeast, actinomycetes, and mildew. 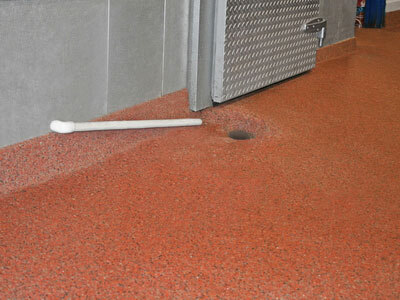 Everlast Epoxy Flooring is a poured resin and stone mixture. It uses a resin rich formula that bonds with the substrate to provide a durable, thick surface that won’t wear away like other epoxy flooring. There are no seams to contend with, so there’s no place for dirt and bacteria to hide. It provides one continuous, self-containing coating of hygienic protection that can be troweled up the wall as high as you need. It leaves water nowhere to go except down the drain! Everlast Floor is not only waterproof, but because it bonds to all the drains, electrical conduits, coke conduits, gas lines and plumbing pipes, moisture cannot get through the floor to damage the facilities underneath.